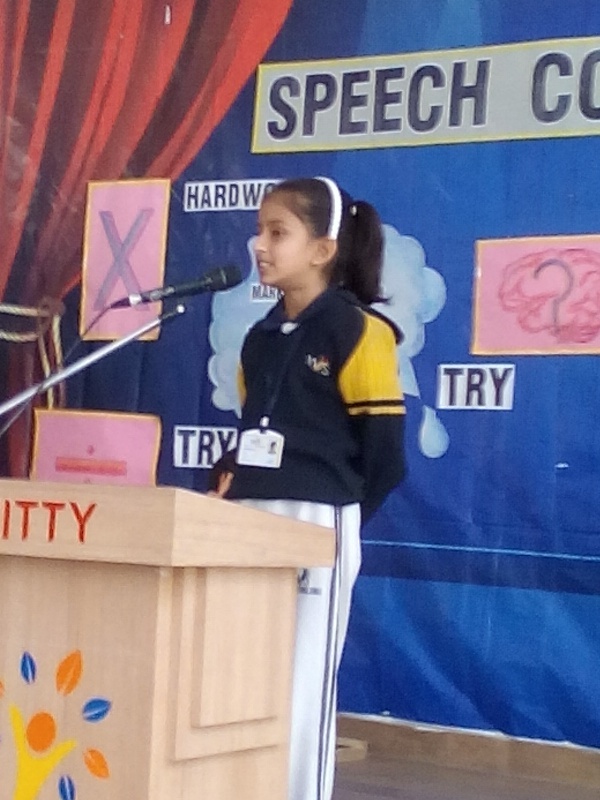 "A good speech is like a pencil, it has to have a point". 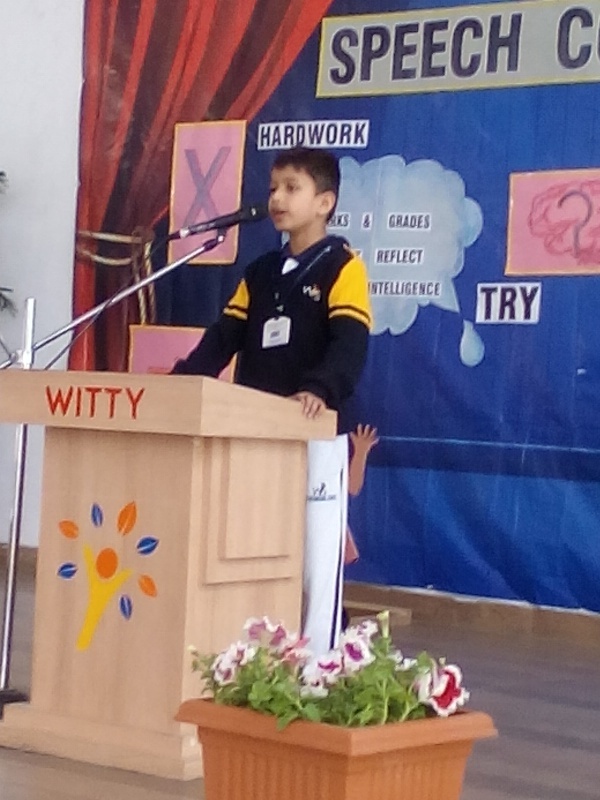 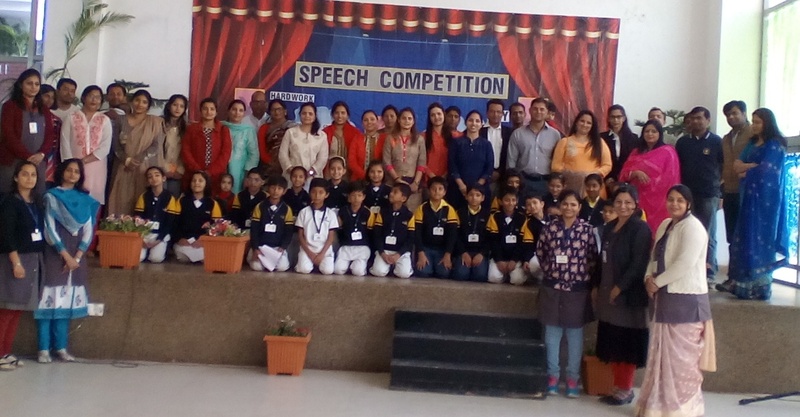 Witty International School, Udaipur organised a Speech Competition for Grade-3A and 3B on February 11, 2017. 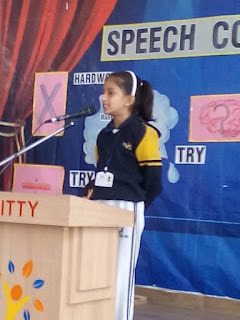 The topics for the speech were "Marks in exams do not reflect student's intelligence" and "Trying is better than crying" respectively. 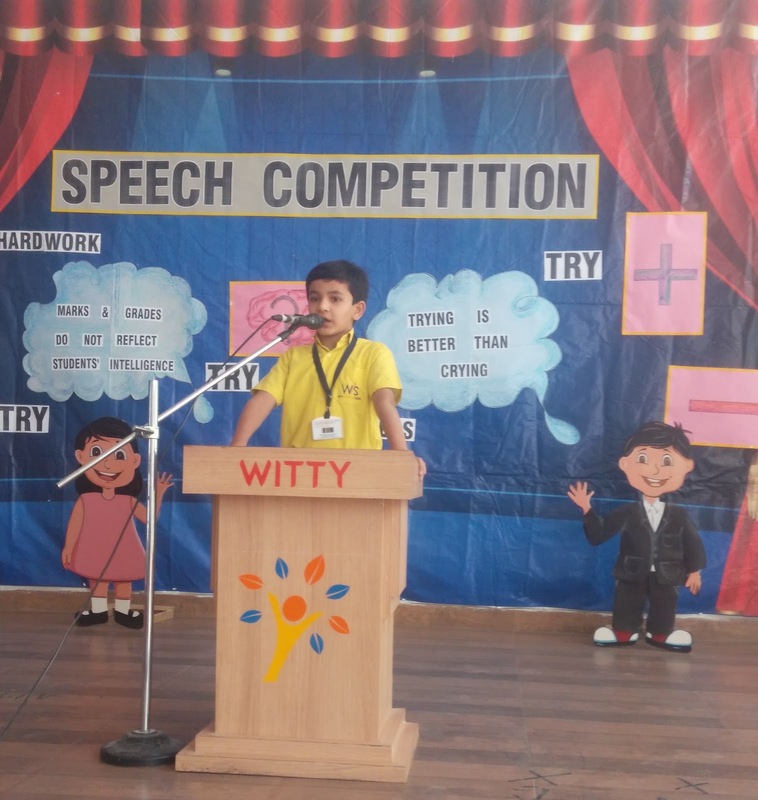 Public speaking is often considered to be the people's greatest fear but that certainly wasn't the case with young Wittians. 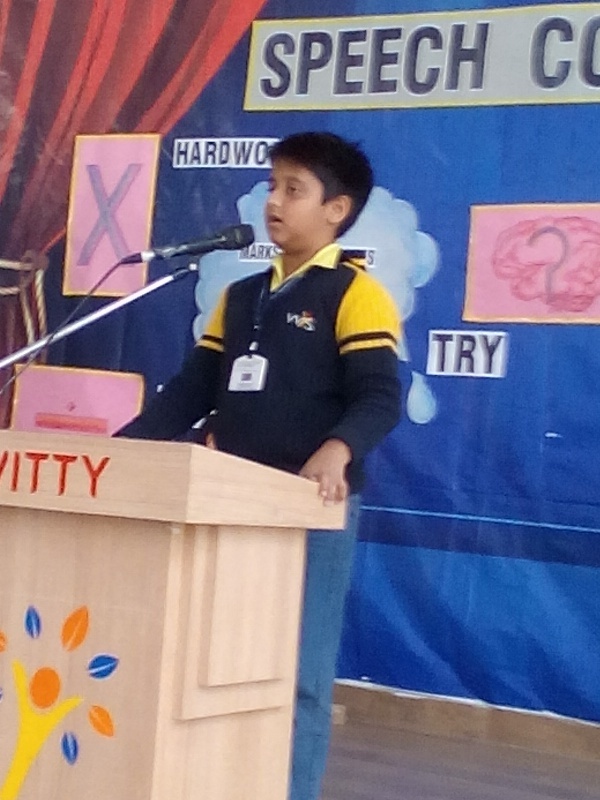 Student's participated in the competition whole heartedly. 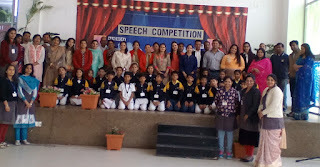 Parents were also invited to witness the program and cheer up the young speakers. 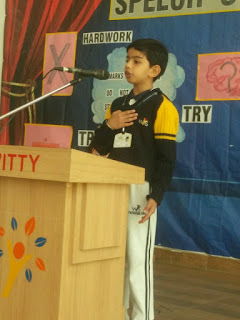 All the students were brilliant in their performance and it was very difficult to adjudge their skills.